What is the EU? Use our resources to find out. Educators, scroll down for a quick list of key resources in our Teachers’ Toolkit. The European Union currently has 28 member states. The United Kingdom has the EU’s second-largest GDP (behind Germany), and the second-largest population (behind Germany and France). “Brexit” is a portmanteau (mashup) of the words “British” and “exit.” Brexit refers to the possible departure of the United Kingdom from the European Union. What is the European Union? Here’s a good intro. 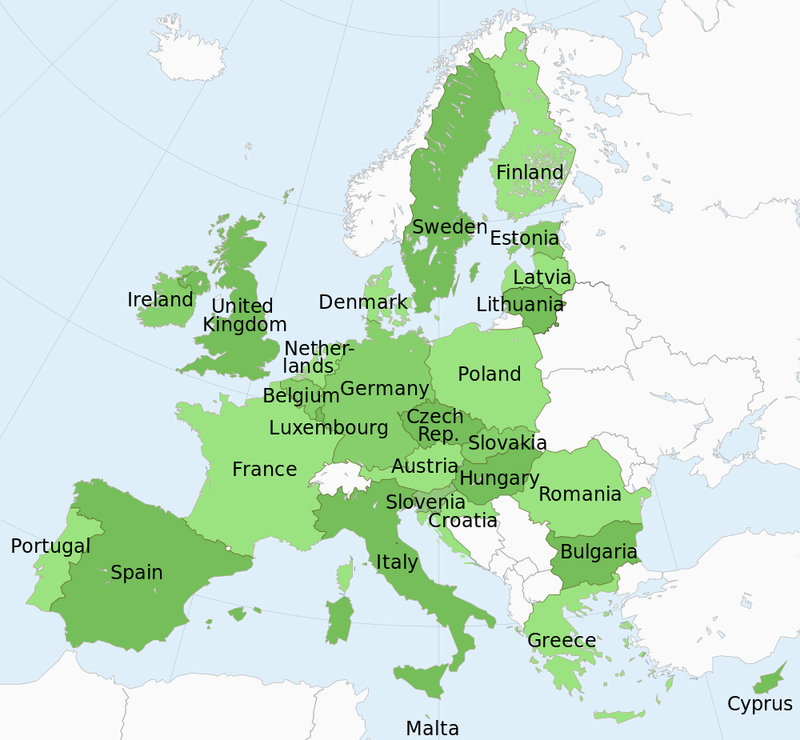 The European Union (EU) is an economic and political association of 28 European nations promoting free trade, ease of transportation, and cultural and political links. The capital of the EU is Brussels, Belgium. The president of the European Commission is Jean-Claude Juncker (from Luxembourg). The president of the European Council is Donald Tusk (from Poland). The EU has its own elected parliament that establishes rules and regulations on such issues as the environment, transportation, consumer rights and even things like mobile phone charges. The current president of the European Parliament is Martin Schulz (from Germany). The EU has its own unit of currency, the euro. The 19 EU members that use the euro are called the eurozone. The United Kingdom is not a part of the eurozone. Here’s a nice explainer on how the EU budget works. Who supports the Brexit, or the “divorce” from the EU? The United Kingdom Independence Party (UKIP), the right-wing political party led by Nigel Farage, supports the Brexit. Northern Ireland’s Democratic Unionist Party, led by Arlene Foster, supports the Brexit. The Conservative Party, led by Prime Minister David Cameron, has pledged neutrality on the issue. Cameron does not support the exit, although many Conservative members of parliament (MPs) and figures such as London Mayor Boris Johnson do. A few MPs from the opposition Labour Party support the Brexit. The latest public opinion polls show the public as fairly evenly split. Why do some people support the Brexit? Take a look at this nice breakdown of the issues for some help. Economy: The best-case scenario is that the UK would be better off by 1.6% of GDP a year by 2030. Society: Britain has always been ambivalent about the EU. It voted to join what was called the “Common Market” in 1975, but ties to the EU have always been politically tenuous. It is not a member of the eurozone, for instance, choosing to retain its own unit of currency (the pound). Cost: The UK is a “net contributor” to the EU budget. Last year, the country paid £8.5 billion ($12 billion) more than it received. Financial regulations: Many contested regulations involve financial support for resident non-citizens and recent immigrants, although more traditional financial regulations are also in play. For example, the EU has proposed taxes of 0.1% on financial transactions and 0.01% on derivatives in the aftermath of the financial crisis—what many bankers have interpreted as a strain on lucrative trading activities in London. Opponents also cite strict regulations on agriculture and fisheries. Who supports staying a part of the EU? The UK’s leading opposition party, the Labour Party, led by Jeremy Corbyn, opposes exiting the EU. Other political parties, including the Scottish National Party, Plaid Cymru (the Welsh independence party), and the Liberal Democrats, also oppose an exit. The Conservative Party, led by Prime Minister David Cameron, has pledged neutrality on the issue. Cameron himself opposes an exit. Why do some people support staying a part of the EU? Economy: The worst-case scenario is a 6.3% to 9.5% reduction in GDP. Immigration: Immigrants contribute to the economy of the UK by providing a relatively young, inexpensive pool of labor. Trade: Trade rules makes selling things to other EU member countries much more economical and efficient. “The EU is the UK’s main trading partner, worth more than . . . 52% of the total trade in goods and services. Complete withdrawal from the EU would see trade barriers erected” and the costs of goods and services skyrocketing. The social, political, and monetary policies of the European Union have far-reaching impacts. Why is the Brexit an important issue? The UK is a vital part of the European Union. It is the group’s second-largest economy (second only to the German powerhouse) and third-most-populous (behind Germany and France). EU policies extend far beyond Europe. 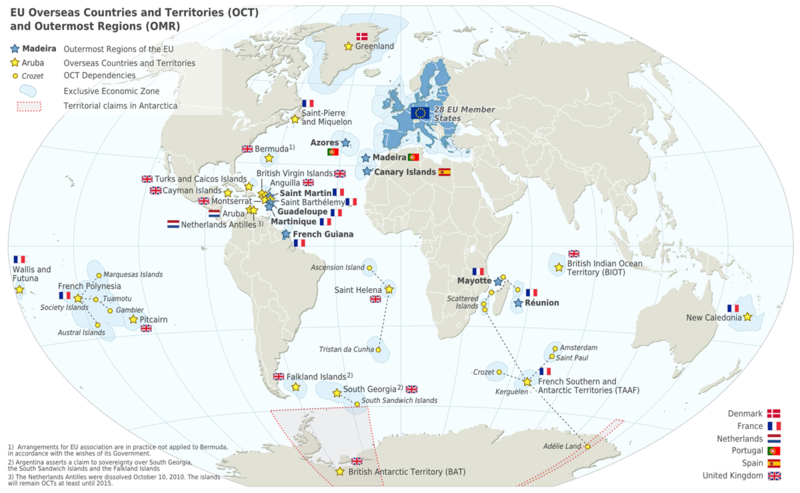 Overseas territories of both the UK and EU dot the globe, and are lucrative sites for tourism and business. What are the alternatives to Britain simply leaving the EU or staying in it? The first question here might help. The Norwegian model: Britain leaves the EU and joins the European Economic Area, giving it access to the single market, with the exception of some financial services, but freeing it from EU rules on agriculture, fisheries, justice and home affairs. The Swiss model: Britain emulates Switzerland, which is not a member of the EU but negotiates trade treaties on a sector-by-sector basis. The Turkish model: The UK could enter into a customs union with the EU, allowing access to the free market in manufactured goods but not financial services. The Canadian model: The UK could seek to negotiate a comprehensive Free Trade Agreement with the EU, which would eliminate trade barriers in most areas but does not require free movement or budgetary contributions. No. No country has ever left the EU, and in fact there is a waiting list to get in: Albania, Macedonia, Montenegro, Serbia, and Turkey are all current candidates. At the height of Greece’s financial crisis, it debated leaving both the eurozone and EU. (And yes, the situation was called the “Grexit.”) It is still a member of both. All British, Irish, and Commonwealth citizens over 18 who are resident in the United Kingdom will be allowed to vote in the referendum. All UK nationals who have lived overseas for less than 15 years will also be allowed to vote. When will the referendum be? BBC: UK and the EU: Better off out or in? So today is the referendum… Hope for good for UK… So let’s see UK would be member of EU or not? Next Next post: What Do You Want to Make Better?